Nothing ups a company’s business quite like outdoor advertising. One of the best ways to do that is via Ad Banners. 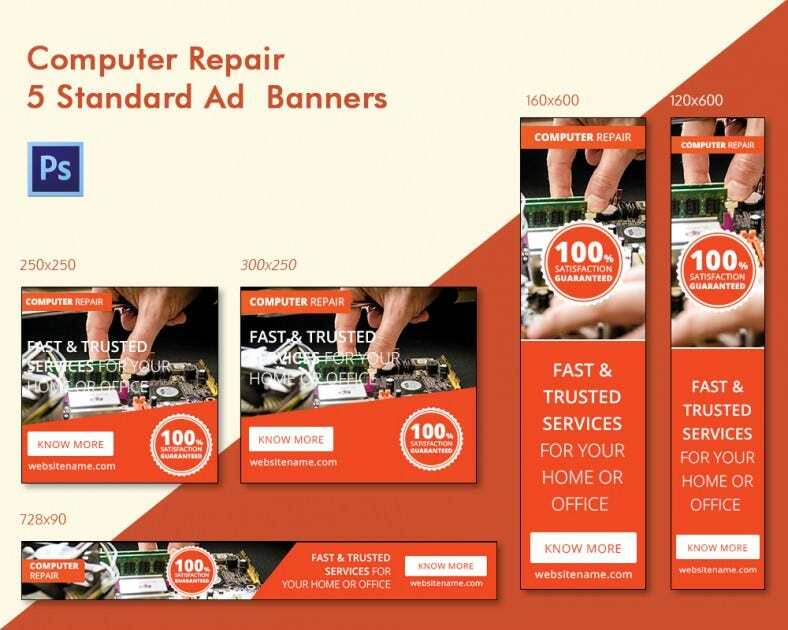 A well-designed ad banner will always garner attention. 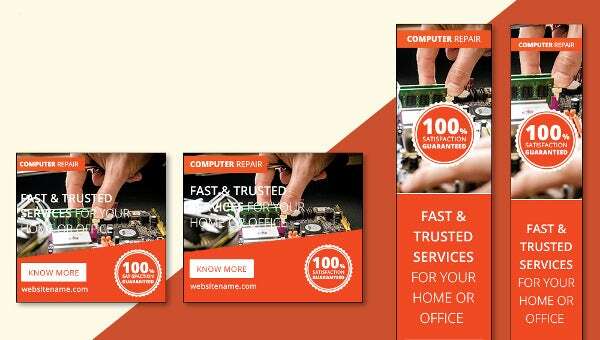 If you reckon you have a business which requires you to put it out there on ad banners, then use our Computer Repair 5 Standard Ad Banners. Our Ad banners have a professional design, and are the perfect choice for you to market and publicize your company establishment. Once you have got the customer’s attention, footfalls to your office are going to be multifold. Use these now!